This was the rarest of the Glen Henderson designed racing sailboats with only 7 hulls ever built before the moulds were destroyed in a fire. This was the last one built (hull #7) and to the best of my knowledge is the only one of 2 SR 27's located on the West Coast. The SR 27 is a hi performance racing keelboat with retractable keel and removable rudder for easy of trailering (and avoiding the expense of travel lifts) The SR 27 is a former Sailing World magazine "Boat of the Year" winner and also has done well at Key West Race Week. Many other upgrades to numerous to mention. Autohelm electronics package including separate speed and depth displays. The SR 27 is an amazing boat...huge cockpit and many very modern features such as underdeck spinnaker sheets, moulded and recessed two speed Harken Primary winches. Harken two speed halyard winches . Innovative under deck split backstay system. Powerful double spreader mast. Boat can sail 5 in comfort; sleep 4 down below (very generous v berth) and still be easily sailed by a couple. Excellent stability with a bulb keel some 6' down that raises to approx. 3' when full retracted. Inboard cassette rudder can also be easily removed for trailering. 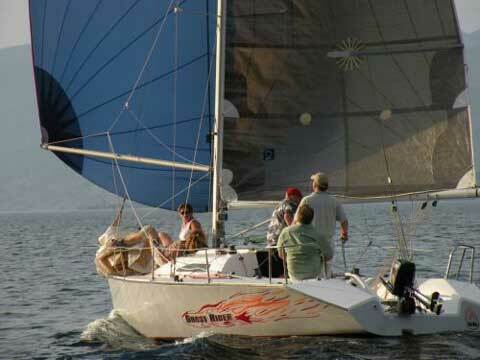 The SR 27 is a great boat...Rates PHRF 102 in most regions and offers speeds on par with Olson 30�s and is an incredible performer downwind where speed's can hit high teens in excellent control. 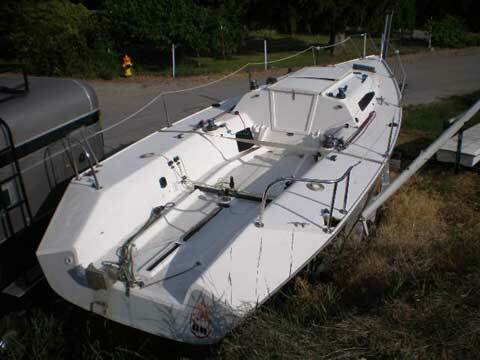 Rare boat in this area located roughly 4.5 hours east of Vancouver (6 hours north of Seattle) in the Okanagan region of B.C. Price includes a basic factory tandem axle yard trailer and a very light Nissan outboard motor that can power the boat to 6' knots. Email for further information and more pictures. I just got my payment from the buyer yesterday so please mark the SR 27 as now sold.